If you're working in EdReady and something seems to be broken or not working, you will find these general troubleshooting tips helpful. Log out of EdReady using the "log out" link under your name, at the top of the screen. Then log back in and see if the problem is resolved. This is especially important if you see the "you can't open more than one resource at a time" message. Try a different browser (Chrome and Firefox are our favorites), or a different computer/device. Sometimes the browsers will change their code, and then we have to update EdReady to work with them. So if you find that it works on one, but not on another, then we want to know so we can fix the problem. If none of these works for you, please get in touch with us and we will help you personally. 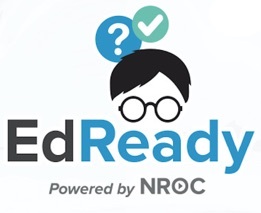 You can do this by clicking the Help button in the lower left-hand corner of your screen while logged into EdReady.